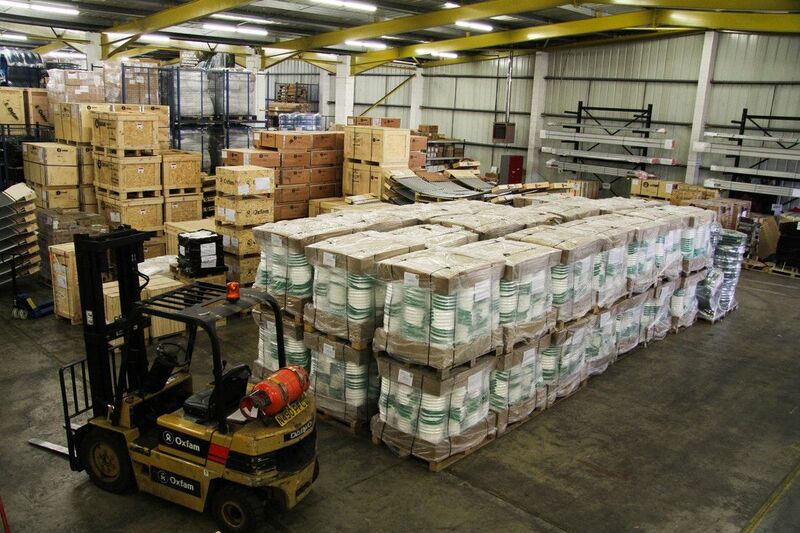 Our 2000m2 warehouse in Bicester in the UK is the heart of our operation. All our equipment is ready packed and available for dispatch by air, sea or road at short notice. We are registered as a Known Consignor by the UK Civil Aviation Authority. This means that our facility and our staff have been pre-cleared and our cargo can be dispatched by airfreight without the need for further security checks. This saves both time and money. We welcome visitors by appointment, so if you would like to come and see us then please Contact Us. We also offer tours to larger groups of supporters, students, and other interested people. If you would like to bring a group on a tour, please fill in our tour booking form and send it back to stockteam@oxfam.org.uk.